Now that the sweltering heat has subsided, pets collectively look forward to spending more time outside. You can definitely enjoy being together, but even if it’s simply doing yard work out back, there are certain safety considerations for your pet. Fertilizers – Green grass awaits you in the spring if you follow recommendations for fertilizer application in the fall. However, most lawn products are not pet-safe. Use only when your pet is indoors, and ensure that the grass is dry before allowing your pet outside. Rodenticides – The use of products to eliminate or reduce rodents increases in the fall as mice and rats are trying to establish nests to get them through the winter. If ingested by your pet, the consequences could be fatal. Use these products with extreme caution. Mulch – Cocoa mulch is an enriching garden product, but like edible chocolates, this mulch is a big no-no. Compost Piles – Decomposing and decaying organic matter can contain tremorgenic mycotoxins, or tremor-causing molds. Have compost piles fenced off or otherwise contained. Please keep an eye out for telling symptoms that they’ve been exposed to dangerous mold, such as drooling, agitation, and seizures. Mushrooms – Most animals know instinctively to leave fungi alone, but just in case your pet decides to experiment, know what to look for. Diarrhea, vomiting, and digestive upset are common side effects, but the more toxic the ‘shroom, liver failure can result. Hibernating Snakes – Fall pet safety wouldn’t be complete without a friendly reminder to keep an eye out for snakes. There are over 30 native snakes in Tennessee, and four of them are venomous. Avoid heavily wooded and wetland areas, and places where you’ve heard of snake bites. 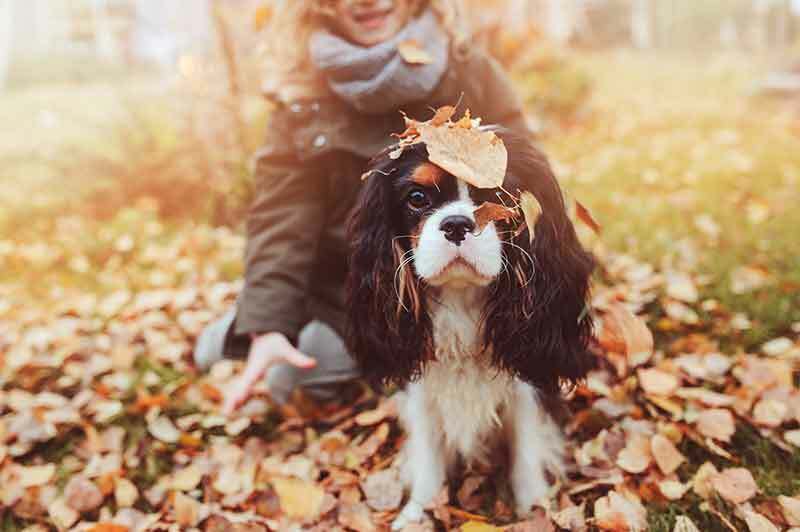 Aside from the outdoor toxins that threaten fall pet safety, there are some serious risks elsewhere. Antifreeze, for example, is a critical component to auto care that can seriously endanger your pet’s life if they lick up any spills or leaks, Be sure to properly store bottles of antifreeze, or use less toxic propylene glycol coolants instead. Staying on top of your pet’s wellness exams really help toward all-encompassing health at home. The fall is a great time to stay in front of any developing problems, and possibly alter your approach to care before the winter sets in. Fall is the time of year when a pet’s exposure to dangerous items or foods increases tenfold. Back to school supplies can be a threat to fall pet safety, and backpacks can contain highly toxic food, like Xylitol-sweetened gum. Halloween is also a danger to pets. The costumes and decor can be quite scary for them, but the biggest culprit is, of course, chocolate, high sugar candies, and the wrappers that contain them. Please be on the lookout for any signs of a pet poisoning, and always feel free to call us for help at Volunteer Veterinary Hospital. Previous: Is a Healthy Cat a Happy Cat?